I've been ramping up my painting time. 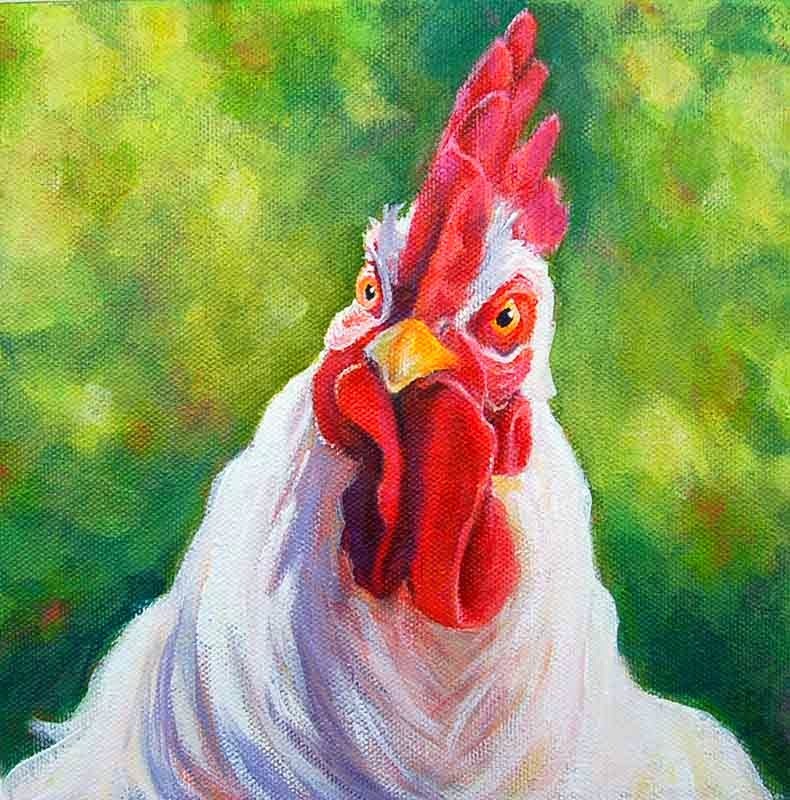 Lately it's been roosters. Not sure why, but enjoying their attitude. Sometimes I wonder if they really do have an attitude, or are they merely misunderstood? For the sake of creativity, lets just go with attitude. Prints are available in my Etsy Shop (on the right sidebar). A friend has a huge chicken farm and has invited me to come take photos. I hope to gather lots of attitude, as long as it's not directed at me. As usual, much has happened since my last post. We were visited by wildfires, heat, wind, smoke and ashes, sirens and helicopters hovering. And all while we had friends visiting from the Midwest and Northwest. A bit preoccupied as to whether we would need to evacuate and what to pack in the car, we didn't spend as much time with our friends as we had planned. I recorded all the drama in images on my Facebook and Instagram pages. 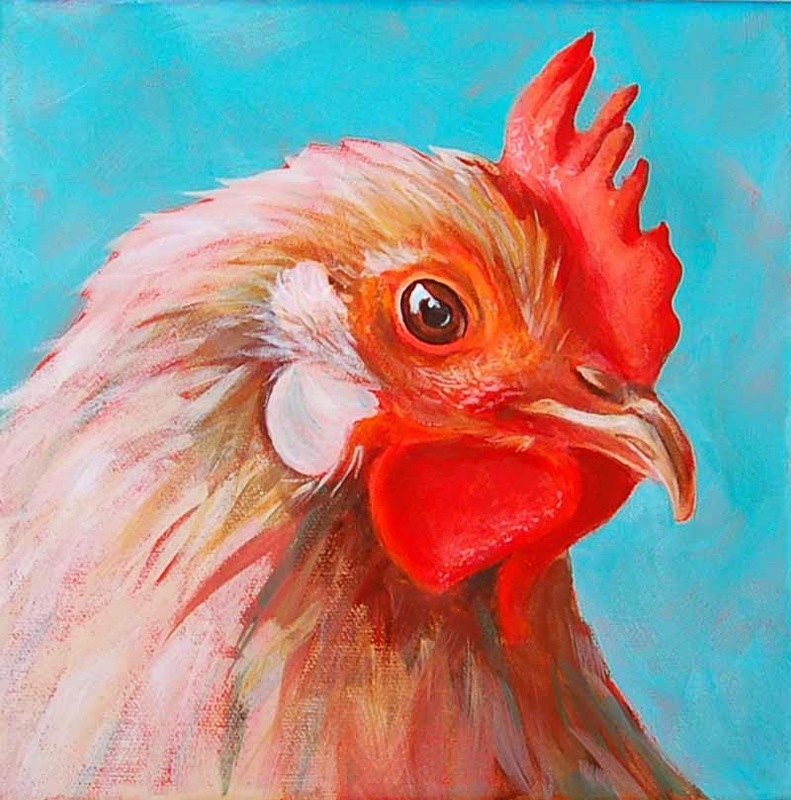 After that little adventure, I have been painting with more regularity and since my animal menagerie seems to be a hit on Etsy my painting repertoire now includes roosters with attitude and a close up of a horse I titled SOUL MATE. 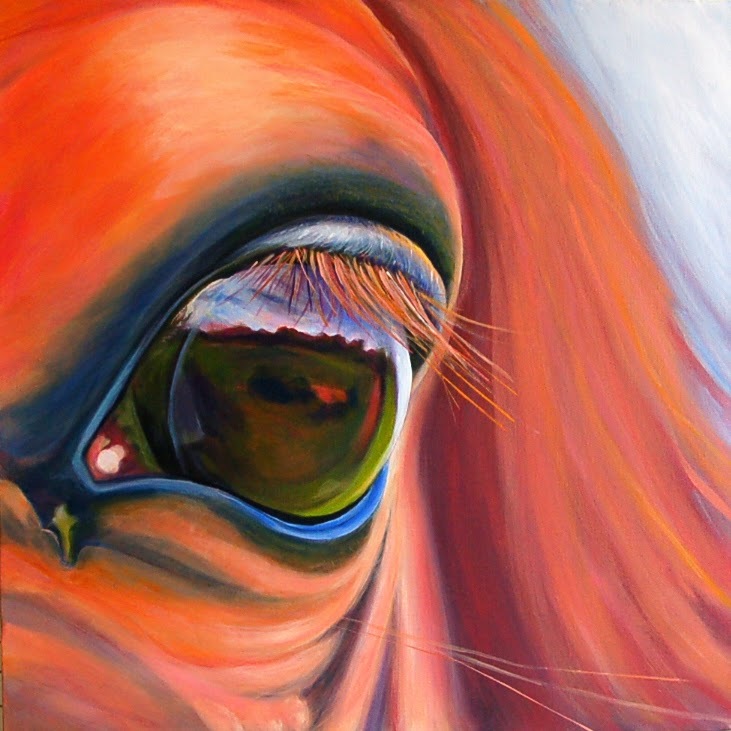 This painting was inspired by my sweet grand daughter starting therapeutic horse therapy and absolutely falling IN LOVE with "her" therapy horse, Prince. After a phone call with her gleefully describing how they became instant friends, I was thinking about how amazing animals are, how accepting and loyal. I asked my husband if he thought horses could see into a person's soul and he immediately responded with a resounding YES. 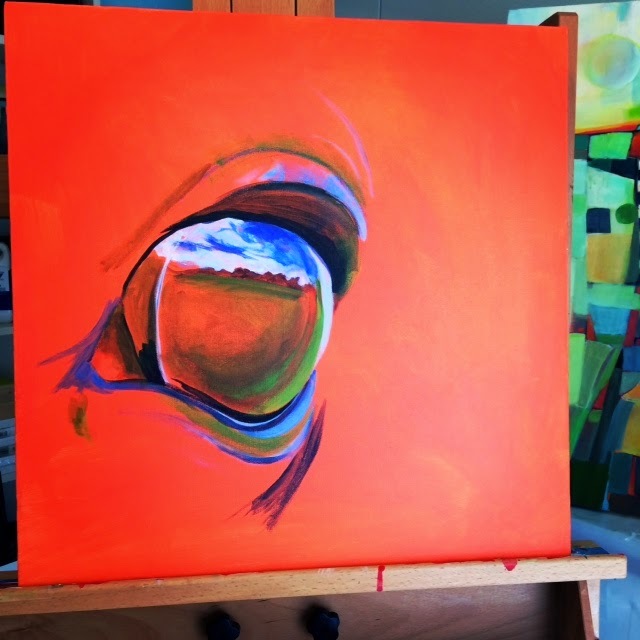 Eyes have been the focus (haa haa) of my recent paintings, so I concentrated on a close up. This is what I put on the canvas to start off. Somehow, I liked these first strokes the best. But kept going, and going until this Saturday. I finished it in time to submit it into a local art gallery show, otherwise I would have done more; much more. Promise to share the roosters tomorrow.